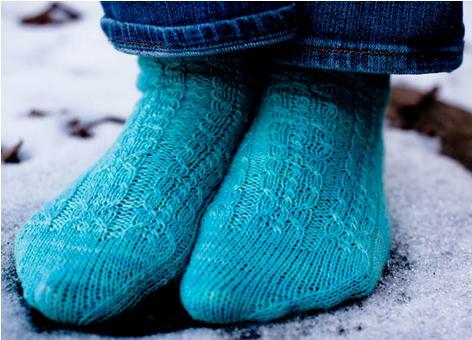 Cool your feet this summer, while you knit our Ice Princess socks for the fall! Just one skein of Ivy Brambles Sockscene, shown in colorway Bluebell Woods, makes this pair of very cool socks. 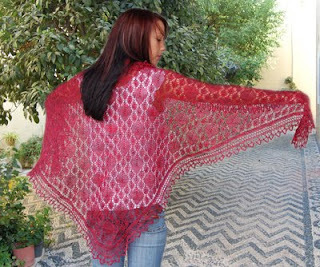 A fast new favorite in Ivy Brambles Romantica, is the Halo Pave Shawl. 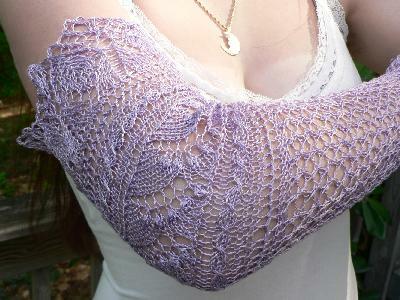 Takes just one skein of this very popular superwash laceweight yarn. Shown in colorway Autumn Flame, a sure hit, and not terribly difficult. New this year is our fine quality Cashmere, available in 2 and 4 ply at a very reasonable price. 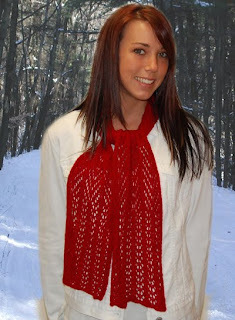 This cashmere is fine quality Mongolian cashmere, and we have several patterns to support this fabulous yarn. The Hyacynth Scarf is made from one (as shown) or two skeins of 4-ply cashmere for a longer scarf. Shown in Fire Red. 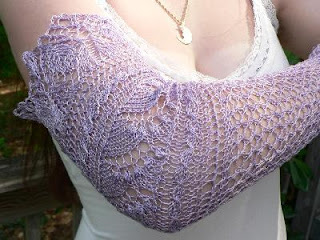 Beautiful but very easy lace pattern. 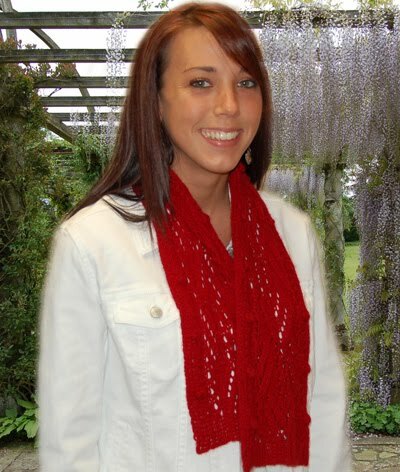 This lace transitional scarf by Patti Waters in Ivy Brambles 2-Ply Cashmere is perfect for everyday wear, or for a special occasion. 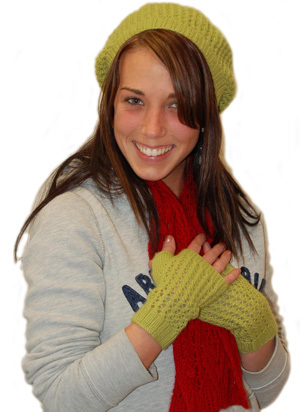 The Green Tea Hat and Mittens take just one skein of 4-ply cashmere each and are sure to please. Super soft, light and warm and very stylish, this wonderful hat and mitts designed by Emily Elizabeth in Ivy Brambles 4-ply Cashmere Yarn is easy to knit and a delight to wear. Two fabulous new patterns in Pure silk. Elegant and stylish, these extra long lacy gloves feature a lily of the valley lace design with intricate detail. This stunning 25 x 60 inches pure silk shawl features a lovely band of lily of the valley running through the center and is edged with lacy leaves and flowery corners. 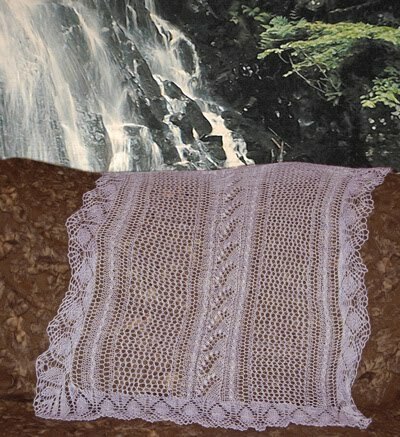 Requires just one skein of Ivy Brambles Pure Silk Yarn.